With Cyrodiil being such a huge expanse and the desire of most people to only fight within large groups there is little in the way of the solo combatants, the assassins . Those who lie in wait for the lonely traveller to cross their path, while unseen they are there. They travel great distances looking for their prey either in the rolling countryside or within the fringes of battle ready to strike when the opportunity presents itself. I am one such of the order skilled with bow and daggers I will remain patiently hidden ready to pounce as time no longer has any meaning for me as my soul has been given to Lamae Bal. As an assassin of Lux Arcana I fight for the Daggerfall Covenant on the European Azura’s Star campaign. 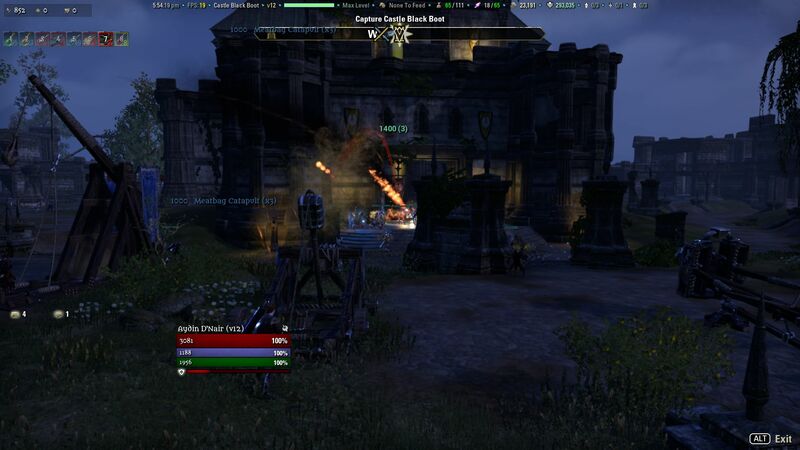 I fight mainly solo or in a duo and follow the fight to wherever it is in Cyrodiil. I will remain on the edge of battle hunting for vulnerable prey or I will seek out my foes nearest camp or keep and kill those who individually venture out from within it. Here three corpse of fallen enemies lie before me, those who thought it safe to travel alone. I will fight the enemy in their own territory, pushing into the borders of their homeland. 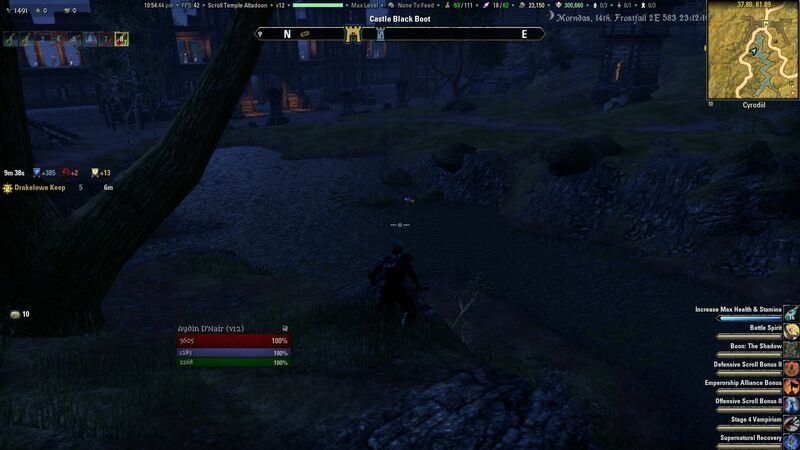 Here a deceased Aldmeri solder lies face down in an icy lake, moments before completely unaware of the danger around him as he rushed to his own gate. When the situation arises I can also lend my bow to the greater good and aid my fellow fighters of the Covenant in pushing back our enemies in open combat. Or assisting in taking what is ours and raining down disease and destruction with siege weapons onto our enemies heads. So wary travellers you may not see or hear me on that moonlit night, miles from civilisation. But I will be there watching for I am an assassin of Lux Arcana.